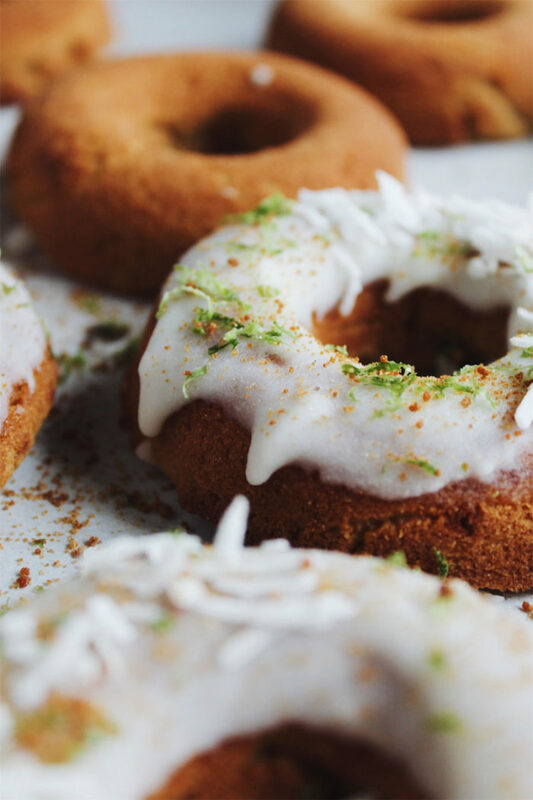 These Coconut Lime Paleo Donuts are delicious, healthier donuts made without flour, dairy, or refined sugar. 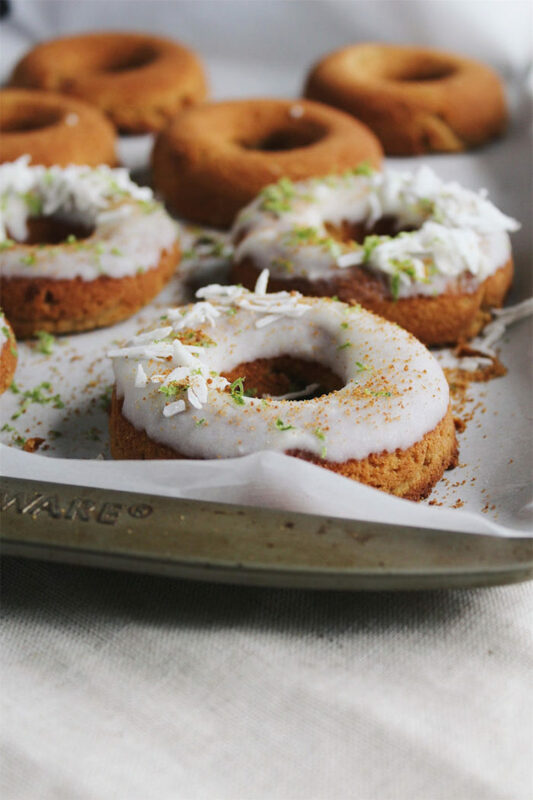 A coconut flour and coconut sugar doughnut gets topped with a creamy coconut-lime glaze. 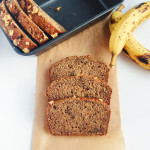 This post is made in collaboration with GoBeyond Foods and their paleo-optimized sugars. I was never really a ‘doughnut person’ until much later in life. Growing up, the only donuts I knew were Dunkin’ Donuts—which are quite the staple in northern Jersey. But in culinary school, I got to make and sample freshly-fried, yeast-raised donuts, which changed my view of donuts forever. I admit I went through a little, tiny, teeny bit of a doughnut ‘phase’ when I moved to Portland. Definitely not the healthiest habit to take up, I assure you. But I lived right next door to the ever-popular Voodoo Doughnuts II. Do you know how hard it is to resist a doughnut when you live a hop skip away from a doughnut shop? I could smell donuts being freshly fried, wafts of sugar and vanilla, coffee, and sweet-salty bacon (for their famous Maple Bacon Doughnut) nearly 24/7. Plus, they were open 24 hours a day. Sigh. Hopefully, you can understand my pain. But, thankfully, my phase ended fairly quickly. 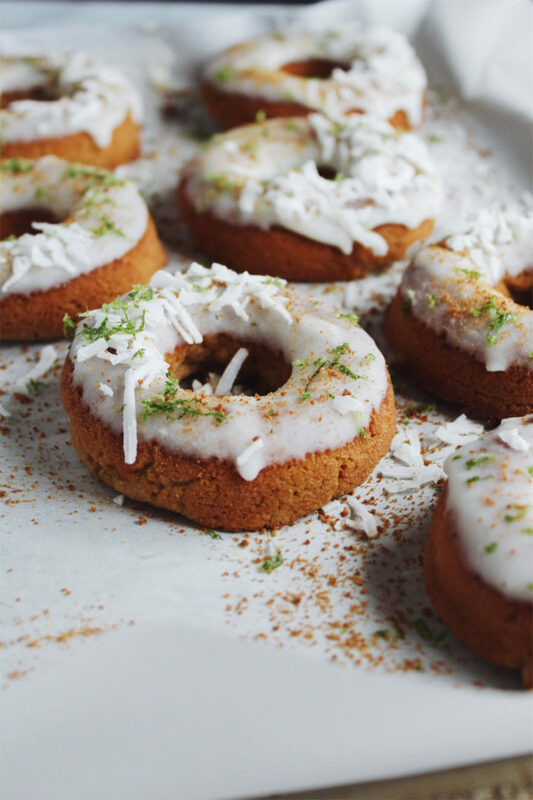 And these Coconut Lime Paleo Donuts are really, really good. These baked donuts are easy to make. They’re grain-free, gluten-free, dairy-free, and refined sugar-free. The glaze is made from coconut oil, coconut milk, honey, and lime. You don’t need fancy ingredients for these donuts. The ‘flours’ in the donuts include almond and coconut, and the sweetness comes from coconut sugar. We used GoBeyond’s Coconut Sweet sugar, which is a mix of organic coconut sugar and organic stevia. GoBeyond makes a variety of paleo-optimized sugars, which are all low-glycemic and derived from natural sources. They’re perfect for baking or using anywhere you’d like a little extra sweetness without the refined sugar. 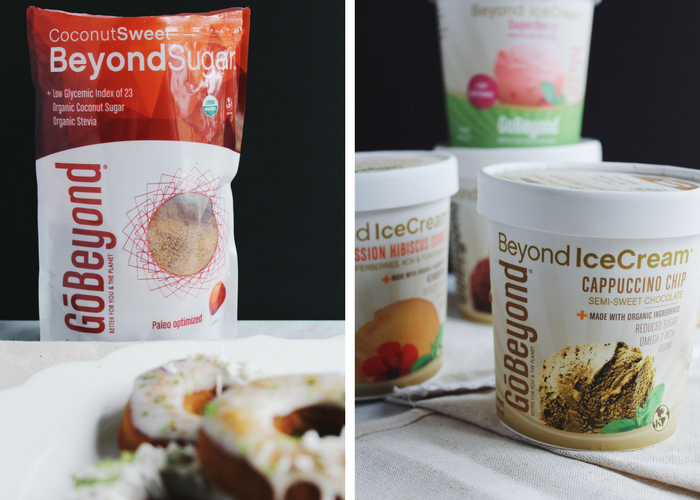 We’re hosting a Giveaway on Instagram right now, and you could win all three sugar blends from GoBeyond—Heavenly Sweet, Coconut Sweet, and Island Sweet! Enter here! I love GoBeyond Foods for several reasons. Their products are not only healthy and delicious, but they’re eco-friendly and environmentally sustainable. 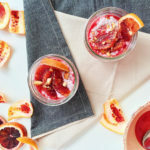 Besides their sugars, they make an amazing line of healthy (!) ice creams, which are also dairy-free, vegan, and organic. Not only are they good for you, but they taste great, too. The guilt-free ice creams are made with Omega-3’s, probiotics, antioxidants, vitamins, and nutrients. 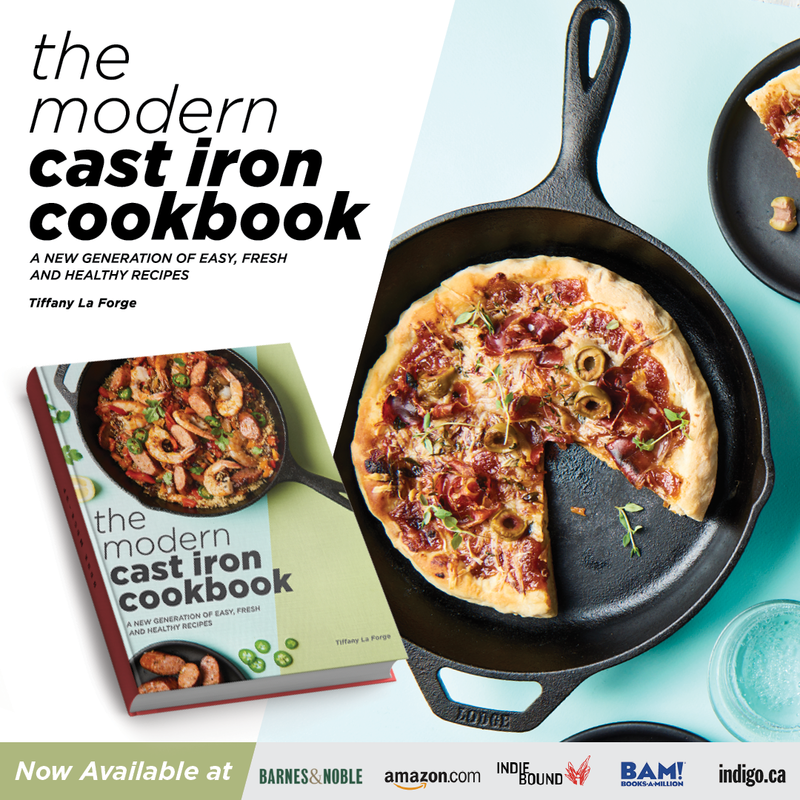 Some of the ingredients you’ll see in them include raw chocolate, kombucha, blue green algae, nuts, maca root, and acai. My favorite flavors are the Passion Hibiscus and Chocolate Crunch, which is so delightfully chocolate-y! 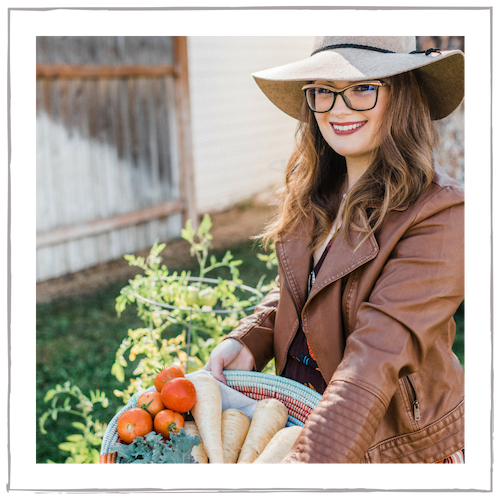 Whether you’re paleo, vegan, or just looking to practice a healthier, more balanced lifestyle, I highly recommend GoBeyond’s products. 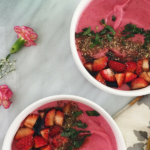 You can find their ice creams at Whole Foods and other West Coast retailers, and you can order their sugars on their website. Plus, how pretty are these donuts?! I tried to create a recipe that looked more like a traditional doughnut with a good rise. I used baking powder here, but if you’re paleo it’s very hard to get a grain/corn-free baking powder. You can make your own baking powder using this recipe. I’m so, so ready for spring and this coconut-lime combination is bright, fresh, and tropical. 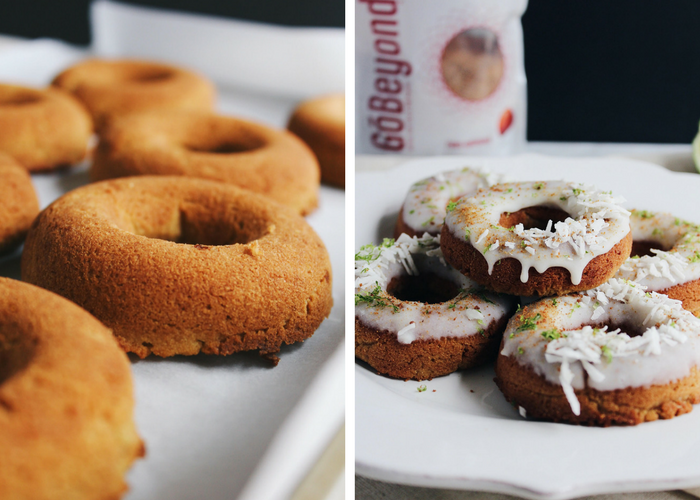 These Coconut Lime Paleo Donuts will hopefully be your new favorite healthy dessert! 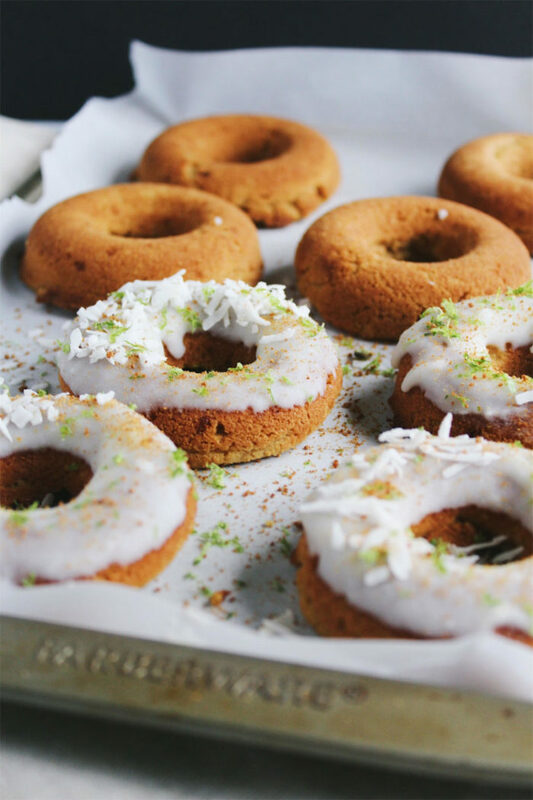 These Coconut Lime Paleo Donuts are delicious, healthier donuts made without flour, dairy, or refined sugar. 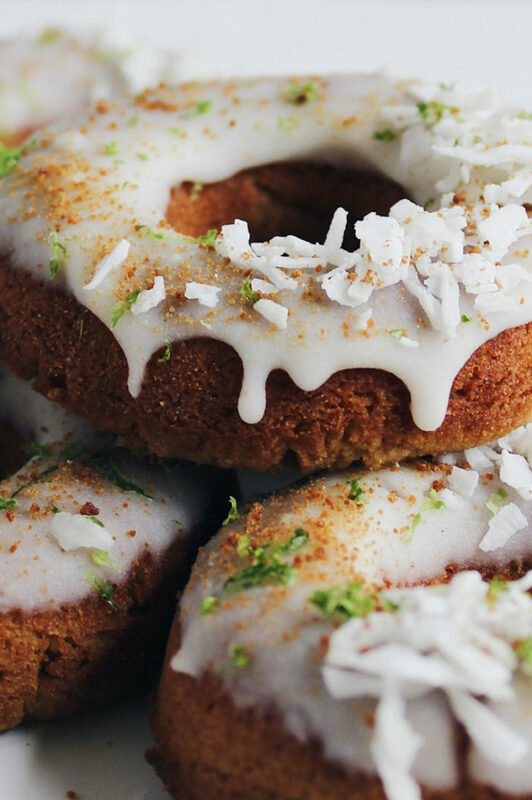 Topped with a creamy coconut-lime glaze. Preheat the oven to 350 degrees. Grease two donut pans with coconut oil. In a large bowl, whisk melted coconut oil, coconut sugar, and eggs until thoroughly combined. In a separate bowl, whisk together the coconut flour, almond flour, baking powder, baking soda, and salt. Stir in the flour mixture, alternating with the coconut milk, until the batter is thoroughly mixed and combined. Fill the donut molds using a piping bag or a spoon until 3/4 full. Bake until the donuts spring back when touched and a toothpick inserted in the center comes out clean, about 17-18 minutes. Let cool. 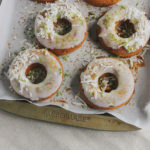 Glaze the donuts and top with freshly grated lime zest, shredded coconut, and coconut sugar. 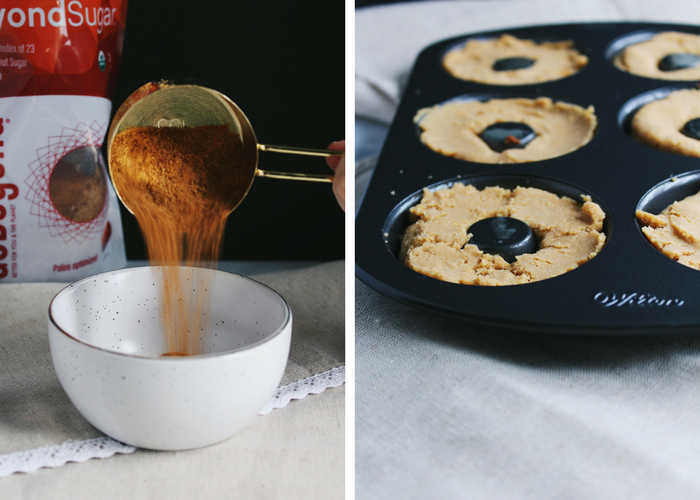 *Read the blog post above for tips on paleo baking powder. **Stir the glaze in the fridge every 10 minutes or so to evenly chill and thicken the glaze. I really enjoyed making this recipe. I’ve been craving doughnuts since I started Paleo 5 months ago. I used maple syrup in place of the honey to avoid high FODMAPs. My only challenge was getting the glaze right. I couldn’t get it to thicken like yours looks in the picture. I assume it’s because I used maple syrup instead of honey. My glaze was thin, but honestly, it turned out delicious, because it soaked into the doughnut more and turned out super moist! 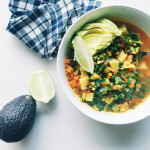 Thanks for making my day and sharing this delicious recipe. I will be making it many times over ? hi, Carmen! so happy you enjoyed the donuts. yes, the glaze definitely achieves its consistency from the honey as it is stickier and thicker. if using maple syrup, you could try keeping the glaze in the fridge longer to set up and I would also use a little less maple syrup. however, soaking into the donuts more definitely doesn’t sound like a bad thing! haha. I don’t know why people give something they haven’t actually tried 5 stars. These are donuts only because they are one the shape of a donut. They come out a little crumbly and would have been better if they were cupcakes. The base is not that interesting and really needs the glaze to be good. I apologize you didn’t like the donuts, Fatimah. 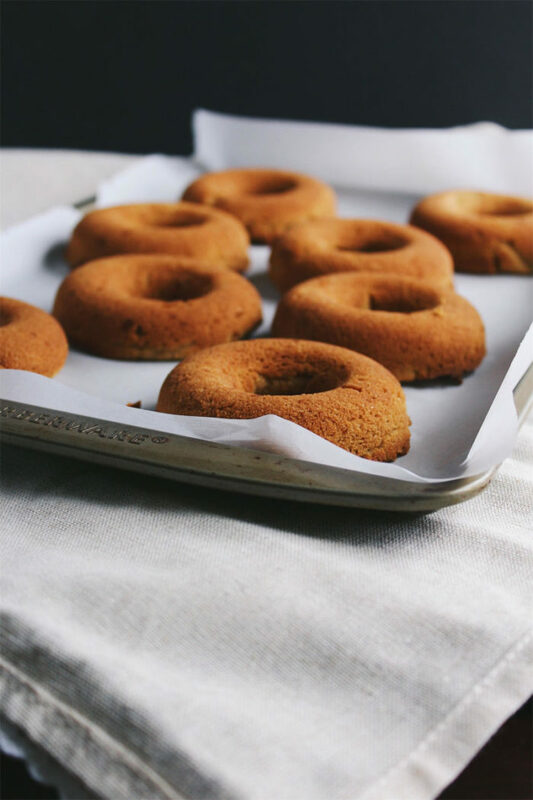 Making a donut without wheat, dairy, or sugar is pretty challenging and definitely won’t taste like a regular donut, but a healthy substitute for it. Thank you for leaving a honest and thoughtful review! I really like the Paleo diets or ones that are close to it, so this will definitely be a great addition to the list of things I can eat! The portion sizes look awesome, and the glaze is so inviting! Yum! I love anything with a little kick of lime in it! 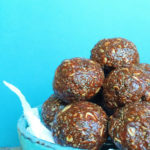 Well, I need to go make a trips to whole foods today because my mouth is watering and I NEED to make these! Like right now! Thanks for sharing! Can’t wait to try one of these bad boys! One of my friends will love this, can’t wait to share with her! 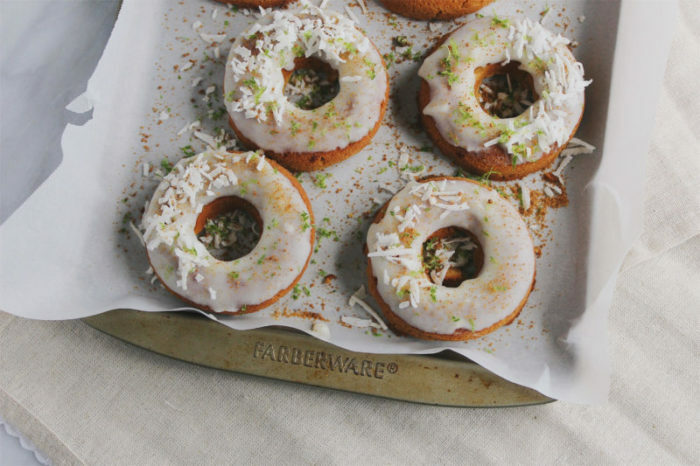 i havent used my donut pan in such a long time; its got to be used and these donuts need to be made! 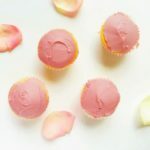 These are pretty and I love that they are wheat free and baked! Love the zing and the sweet! What a great doughnut! These are so gorgeous! Have to break out that donut pan that I HAD to have, but have never used. I love coconut flour and coconut sugar, but have never heard of GoBeyond– will have to check it out!